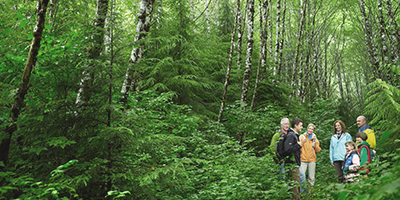 Bring out the real potential of smart field devices! 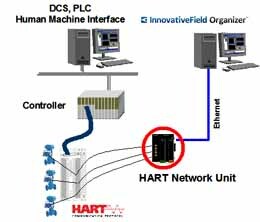 InnovativeField Organizer (IFO) can work in combination with other vendors' DCS and PLCs by using HNU (HART Network Unit), which is an external HART communication interface. HNU is an external HART communication interface which can connect to all HART devices simultaneously, all the time. HNU achieves full-time connection to all HART devices using the one by one HART communication mechanism. Thus HNU achieves roughly the same throughput as FOUNDATION Fieldbus in actual operation. Moreover, HNU achieves far greater speed than general HART communication that uses a multiplexer mechanism such as a general HART interface or other DCS HART I/O. By using the InnovativeField Organizer Device Management System, the IFO user can dramatically improve the efficiency of tasks such as those below. 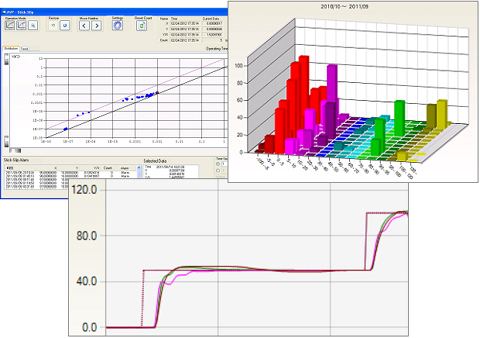 Our control valve maintenance support system, PLUG-IN Valstaff, is a software package that draws upon Azbil's experience for 80 years as a control valve manufacturer. It supports the decision-making necessary for control valve maintenance, and promotes efficiency of maintenance operations. PLUG-IN Valstaff works on the following device management systems.